Read the press release for the 2017-18 Fellowship. Attendees discussed Milwaukee’s history of housing & segregation and their role in creating a more equitable community! 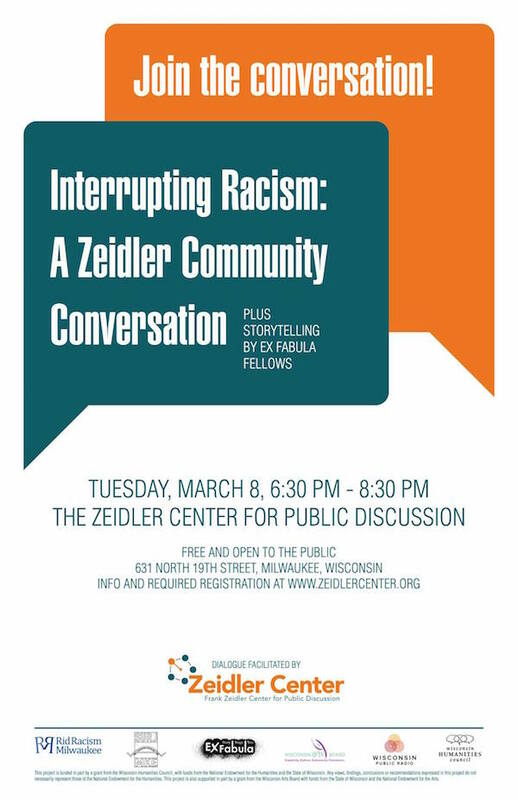 Program included true, personal stories from Ex Fabula Fellows followed by listening circles facilitated by the Zeidler Center. What does it mean to be white? 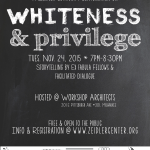 How can we “interrogate” whiteness? 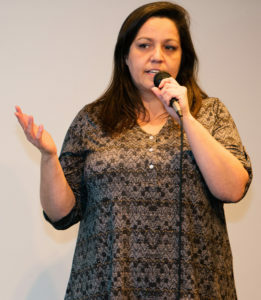 The evening began with an introduction by Martha Barry, an instructor for the YWCA’s “Unlearning Racism” course. Then, stories and dialogue. 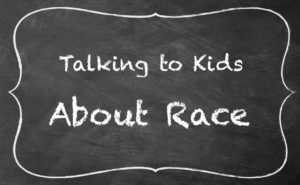 Community members came together to learn practical tools to speak to children about race, racism and segregation. The evening included dinner, true personal stories from Ex Fabula Fellows and small group listening circles directed by Zeidler facilitators. Childcare was also provided. As Milwaukee commemorates the 50th anniversary of Open Housing Marches, Ex Fabula and the UWM Zilber School of Public Health presented a special On Public Health presentation. It featured stories about housing and public health; attendees then shared their experiences and ideas for action in small group conversations. 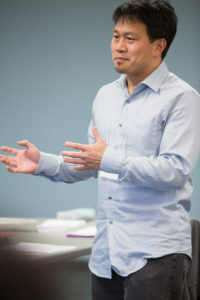 Stories from the Fellows cohort on embracing cultural diversity plus conversation circles. Attendees listened to stories from our Fellows cohort and then went through small group exercises to find and develop their own stories. Included true personal stories from Ex Fabula Fellows and small group listening circles directed by Zeidler Center facilitators. 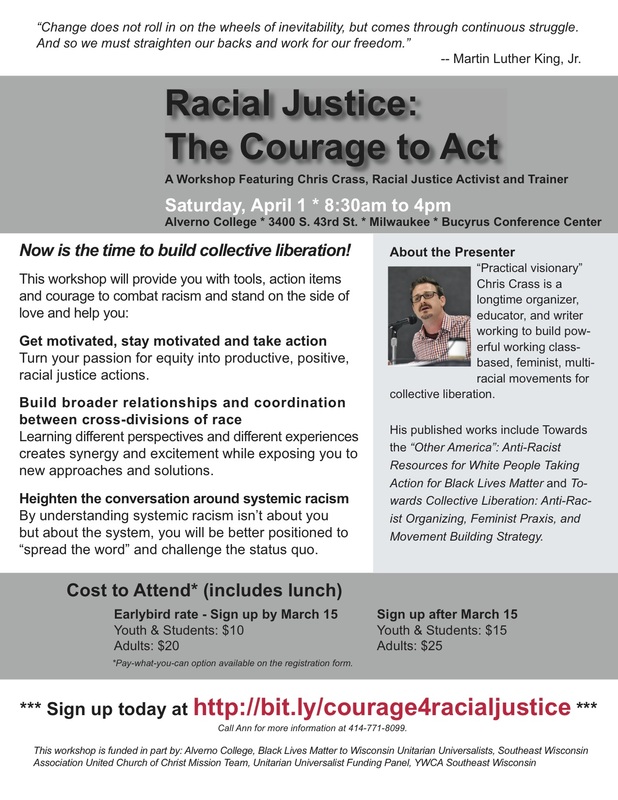 Milwaukee’s history of racial justice and segregation impacts all of our institutions. 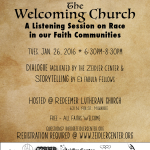 How can each of us address inequity and heal our city? This program explored those questions via personal stories from Ex Fabula Fellows followed by a chance for attendees to reflect and share their own experiences. 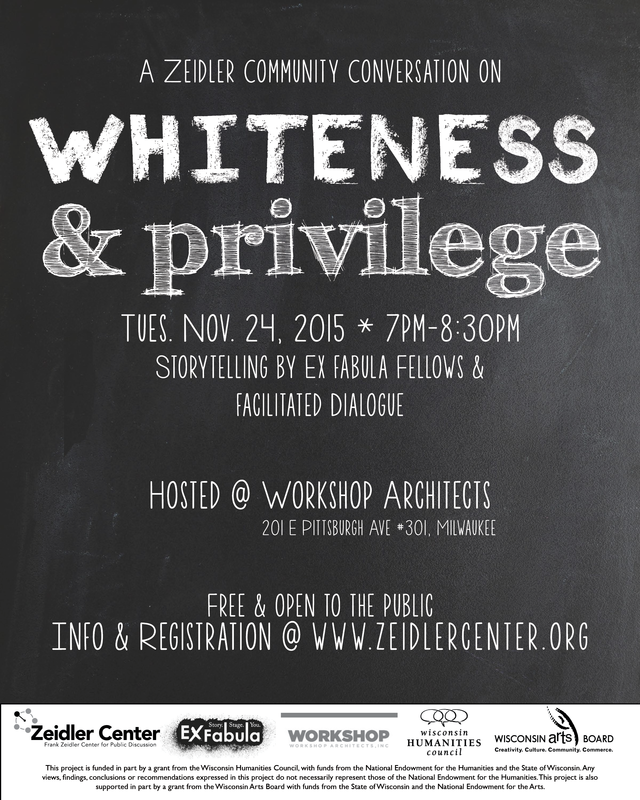 Stories and dialogue circles on media and representation, with Ex Fabula and the Zeidler Center. 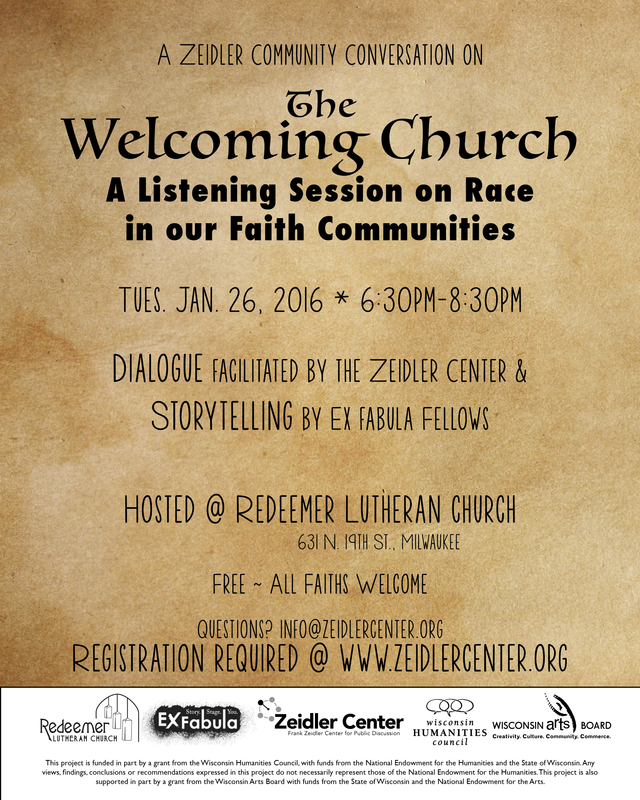 Stories and dialogue circles on how we interact with our own history, with Ex Fabula and the Zeidler Center. Ex Fabula and Public Allies explored how race and representation are at play in nonprofit sector. Attendees heard personal stories from Ex Fabula Fellows, shared their own experiences in groups, and identified action steps. The 2017-2018 Fellowship was supported in part by a $25,000 grant from the Greater Milwaukee Foundation‘s Douglas L.P. Hamilton Fund and Harold Grosskopf Fund; and grants from the Northwestern Mutual Foundation; the Wisconsin Humanities Council with funds from the National Endowment for the Humanities and the State of Wisconsin*; and the Wisconsin Arts Board with funds from the State of Wisconsin and the National Endowment for the Arts. *Any views, findings, conclusions or recommendations expressed in this project do not necessarily represent those of the National Endowment for the Humanities. The Wisconsin Humanities Council supports and creates programs that use history, culture, discussion to strengthen community life for everyone in Wisconsin. 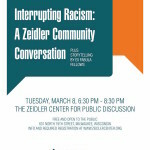 Thanks as well to the Zeidler Center for Public Discussion, our partner for 6 of the interactive outreach performances. For those events, attendees split into small groups, each with a Zeidler Center facilitator, and participated in Reflective Structured Dialogue. 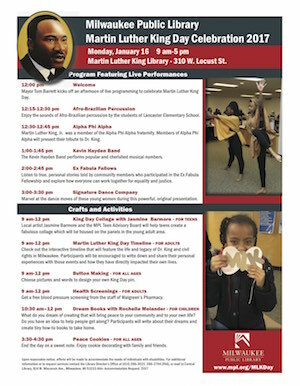 Monday, January 16, 2017, Martin Luther King Library, 310 W. Locust St.
Free activities and performances from 9 am to 5 pm – some for youth, some for adults, some for all ages; Fellows shared stories about “Speaking up” at 2 pm. Full schedule here. The event began with stories told by Ex Fabula Fellows, continued with facilitated listening circles, and ended with a mini-workshop from SURJ about practical skills to address white fragility. 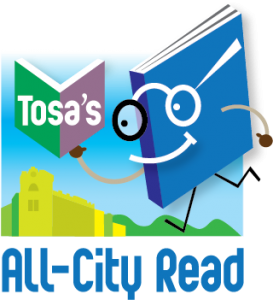 Tosa’s All-City Read intends to bring neighbors together, and this event did so by exploring some of the themes of the book “A Man Called Ove.” The evening began with true, personal stories from Ex Fabula Fellows. Then, attendees shared their own observations in small group listening circles directed by professional facilitators from the Frank Zeidler Center for Public Discussion. 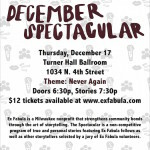 ​The evening began with true, personal stories from Ex Fabula Fellows. Then, attendees shared their own observations in small group listening circles directed by professional facilitators from the Frank Zeidler Center for Public Discussion. How do our various identities (race, gender, sexuality, class, age, etc.) shape who we are? What kinds of boxes do we find ourselves in? How do we break those boxes? This 3 part event included stories, facilitated dialogue and an interactive workshop about our identities. 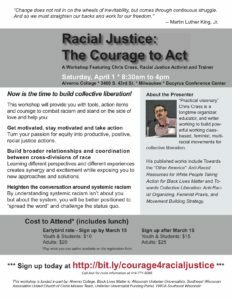 As part of this day long conference featuring UU social justice activist and write Chris Crass, the Fellows presented an afternoon workshop about an important action that we can all take: share our stories about our personal social justice journeys – as a way to engage others and further our own learning. 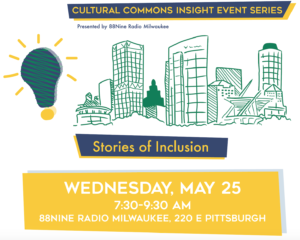 ​A community conversation about equity, diversity and educational achievement. 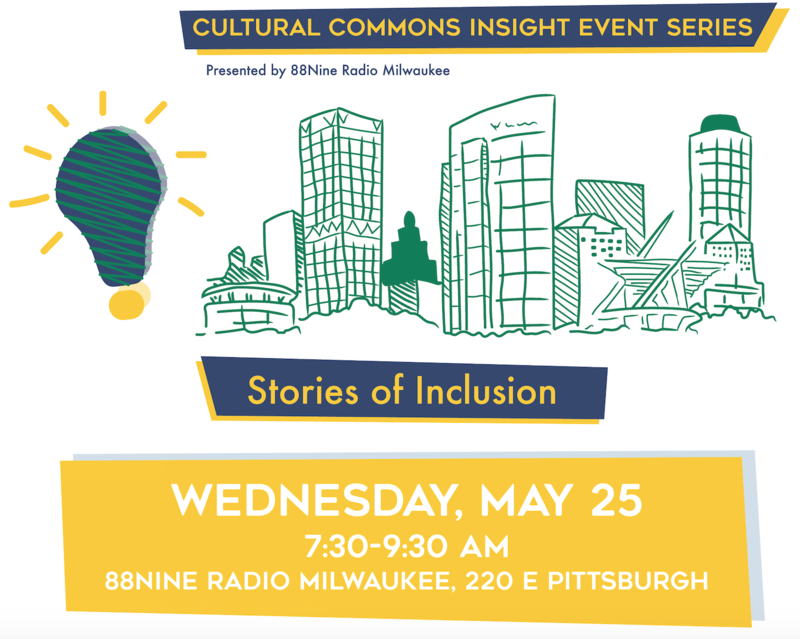 The event included a brief keynote from Reggie Jackson, stories from Ex Fabula Fellows, and small group dialogues facilitated by the Zeidler Center. 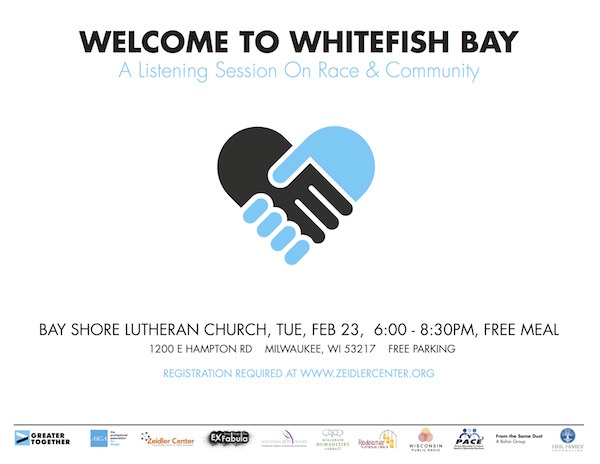 Sponsors included: Parents Advocating for Educational Excellence (PACE), From the Same Dust Baha’i, United Methodist of Whitefish Bay. At this highly interactive event, attendees heard 3 true, personal stories from Ex Fabula Fellows and then reflected on those stories and shared their own experiences in small group conversations. 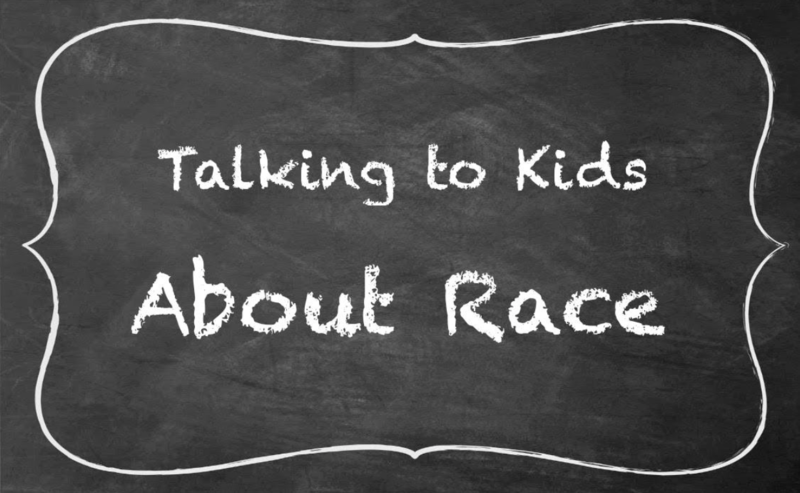 Then, Dr. Erin Winkler spoke about how young children start to notice race and how we can talk to them age-appropriate ways. After a Q&A with Dr. Winkler, the group envisioned next steps to empower our children and ourselves to be anti-racists. The event ended with socializing and opportunities to connect with local anti-racist groups. This event even had childcare available at no cost! 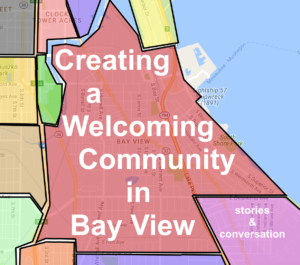 Presented in partnership with the Bay View Neighborhood Association. Bay View is currently experiencing a lot of growth and change, making it the perfect time to reflect on our past, present and future. Event attendees heard 3 true, personal stories from Ex Fabula Fellows. Then, attendees reflected on those stories and shared their own experiences in small group conversations facilitated by the event emcee. Finally, we regrouped to share ideas for next steps – and then adjourn for socializing. The 2016-2017 Fellowship was supported in part by a grant from the Northwestern Mutual Foundation; a $20,000 grant from the Greater Milwaukee Foundation‘s Douglas L.P. Hamilton Fund, George and Evelyn Gay Family Fun, and Jerry L. Tollefsen and Jessica J. Suhr Memorial Kacynski Family Fund; and a grant from the Wisconsin Arts Board with funds from the State of Wisconsin and the National Endowment for the Arts. 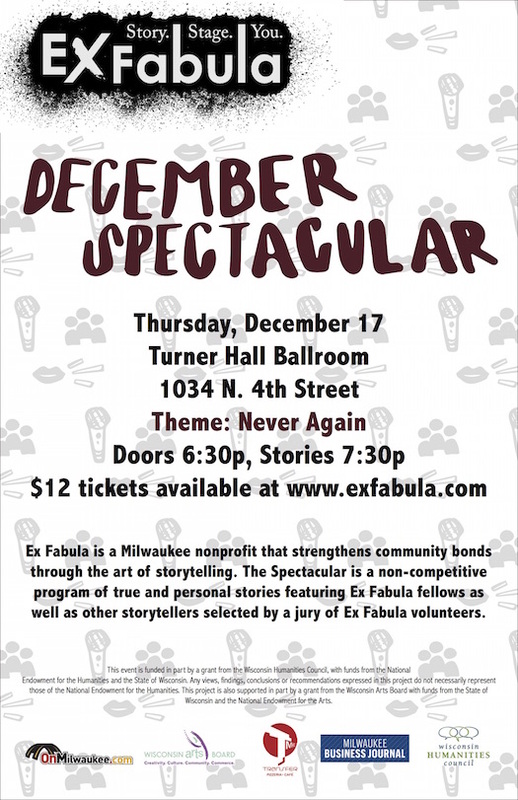 In Fall 2015, Ex Fabula kicked off the first Fellowship, which brought together a diverse cohort of community members who worked with Ex Fabula Storytelling Coaches to identify, craft and share stories about privilege and oppression. The Fellows then shared the stories at the following interactive outreach performances that allowed Milwaukeeans to listen to and reflect upon the stories. Ex Fabula Fellows shared true, personal stories; then attendees shared their own experiences as part of a small group dialogue with Zeidler Center facilitators. The topic: dismantling racism by exploring and interrogating the ideas of whiteness and privilege. Event photos. 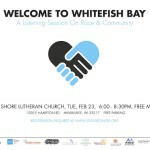 This facilitated listening session for individuals from all faiths explored welcoming in our faith communities, specifically across racial lines. The event included true, personal stories followed by facilitated, small group dialogue. 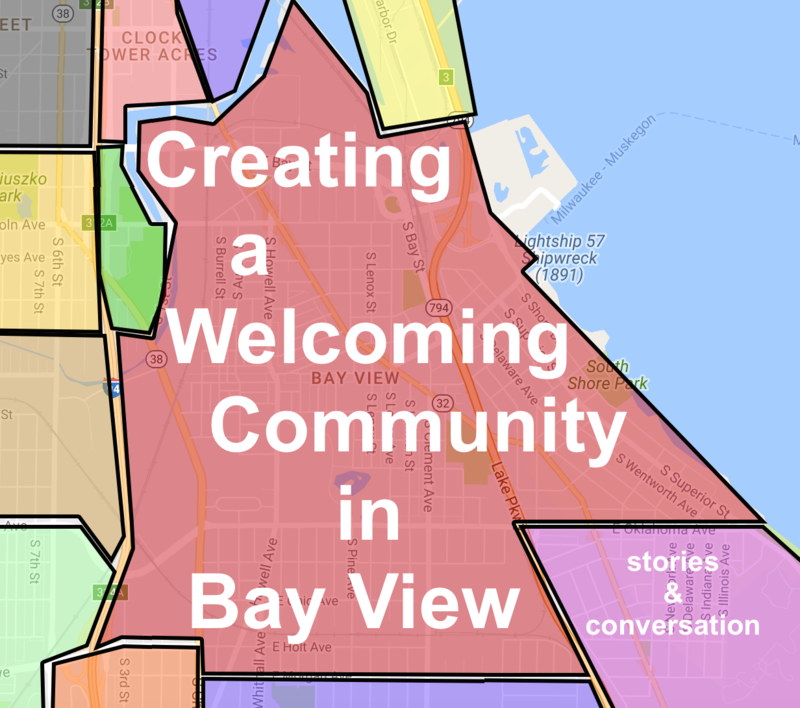 This event included a community meal, stories from Fellows, and facilitated dialogue about perceptions, experiences, and how to make the Whitefish Bay community more welcoming. Fellows shared personal stories that explored ways to “interrupt” racism, and then attendees split off into small groups for small group dialogue with Zeidler facilitators. The service included a dramatic presentation of the passion story, a performance of the song “Strange Fruit” (made famous by Billie Holiday), and a spoken word piece about violence in our society. Attendees then participated a Coffee Hour that explored the role that race plays in our lives. Ex Fabula Fellows shared personal stories, and then attendees broke into small groups to reflect and share their own experiences in small groups. This Lab explored the difficult and multifaceted topic of Race in the Workplace through true, personal stories from Ex Fabula Fellows, small groups reflection, and a Q&A with UWM professor Dr. Belle Rose Ragins that focused on actions that we can take to make our workplaces more inclusive and to leverage the talents of all Milwaukeeans. The Greater Together Spectrum Lecture Series is a collection of speaking engagments featuring national designers of color exploring the world of design, business and social innovation. 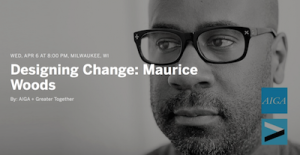 This event featured 2 stories from Ex Fabula Fellows as well as a talk by Maurice Woods, Yahoo’s nationally acclaimed Creative Director, who shared his story about using design to change people’s lives. This Greater Together Spectrum Lecture Series event started out with 2 stories from Ex Fabula Fellows. Then, Kervin W. Brisseaux spoke about design, dedication and culture. Ex Fabula Fellows shared stories and then attendees participated in small group dialogue. Read the 88NINE blog post or listen to a clip from an audio story.